Tom Fraysse represents victims of fraud in common law fraud, unfair business practices, California Insurance Code section 1871.7 (“qui tam”), and state and federal False Claim Act actions against a wide spectrum of defendants – doctors, lawyers, chiropractors, hospitals, clinics, management companies, medical device manufacturers and distributors, pharmacists, pharmaceutical companies, and automotive repair shops, among others. Tom, along with other Knox Ricksen LLP attorneys secured a string of judgments under California’s insurance qui tam or “whistleblower” statute (California Insurance Code Section 1871.7), including a $11,544,037 judgment and a permanent injunction in the matter of People of the State of California ex rel. Allstate Insurance Company v. Wonguen Chang et al. (Los Angeles County Superior Court, Case No. BC541476), which involved claims made by a phony or “sham” law firm owned and operated by non-professionals, and a $7,010,668.40 judgment in the matter of People of the State of California ex rel. Allstate Insurance Company v. Daniel H. Dahan and Progressive Diagnostic Imaging, Inc. (Los Angeles County Superior Court, Case No. BC-397695 and 3 Cal.App.5th 372; 207 Cal.Rptr.3d 569), which involved a chiropractor producing phony x-ray reports in support of claims presented to insurance companies. Tom is currently co-lead counsel in the Southern California counterfeit spinal implant litigation, representing a host of victim carriers and 160 individuals who received counterfeit hardware in spinal fusion surgeries. Over his 36 year career, he has tried in excess of 30 jury trials to verdict, most of which involved fraud. Mr. Fraysse has been recognized by his peers as a Northern California Super Lawyer from 2005 to the present, holds an AV rating (“Preeminent”) from Martindale Hubbell – “a testament to the fact that a lawyer’s peers rank him or her at the highest level of professional excellence,” and is an Associate with the American Board of Trial Advocates (ABOTA). He received a bachelor’s degree from UC Berkeley and a JD degree from University of the Pacific McGeorge School of Law. 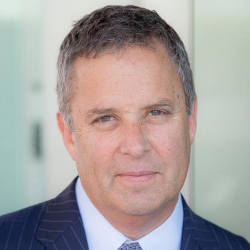 He has been a member of the State Bar of California since 1982 and practices out of the Walnut Creek and Los Angeles offices of Knox Ricksen LLP, where he serves as the firm’s Managing Partner. Tom is a current member of the Board of Directors of the AFA and has twice served as its president.